Since 2000, we have designed the lighting for more than 8,000 projects nation wide. Our clients include architects, interior designers, developers, building owners and private individuals.We are sensitive to the relationship between architecture and light and focus on delivering dynamic lighting and impactful design. We consider every assignment a unique opportunity to collaborate and develop lighting concepts that are compelling, innovative, and sensitive to the specific needs of the project. Quatro enjoys the uniqueness of each project and strives to create lighting solutions that enhance the architecture while providing high functionality, low maintenance, and overall efficiency in the design.Lighting is a major element required to express decoration and furnishing within and around architectural space. Our focus is to bring clients (Worldwide)to "A New Art of Light". In addition, we also offer the following Lighting Services: We’re committed to honesty, integrity, and providing the highest level of quality service to every customer. We stand firmly behind our 100% SATISFACTION GUARANTEE and INSTALLATION WARRANTY on all our installs. As a customer, you can rest assured knowing that our company guarantees a professional job that is always done right the first time. Quatro Lighting Design is devoted to providing exceptional customer service and relevant expertise to each of our valued customers. We handle all types of Lighting Needs Lighting Designs Lighting Consultation's Lighting for New and Existing Building Lighting Equipment Fixture Schedules Archetectual Lighting Hospitality Lighting Recess Lighting Art Lighting Custom Chandeliers Chandelier Wiring Repair Chandelier Replacements Chandelier Installation New Chandelier Wiring Unistalled Packaging & Transport Chandeliers Chandelier Dedicated Circuits Pendant Lighting Our installation team is made up of screened professionals who'll provide you with quality service and a worry-free experience. Our interior lighting install services received the highest customer satisfaction ratings on 97% of the thousands of installation customers surveyed. We’d like to hear about your projects too. Please get in touch if you have any questions about our services and want to discuss how we can work together. LED lighting for interior and exterior. 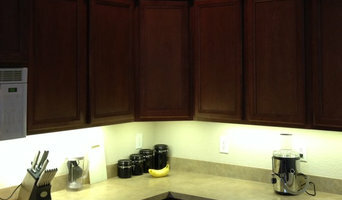 Specializing in high brightness LEDs for kitchen lighting. The firm believes that lighting should be felt first and seen second. Light sets the scene, drives the action, leads the eye, and suggests the mood. Clients live, play, and work within these spaces. 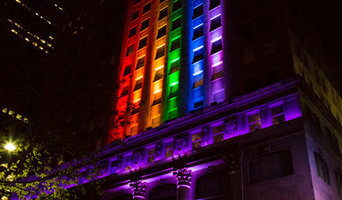 It is an art to create vibrant, dynamic lighting effects that evoke emotion and support activity. The firm draws from a palette of sources and luminaires and works within the architecture to create a composition in perfect harmony with its surroundings. The firm subscribes to the concept of Gesamtkunstwerk, a complete or total work of art. As such, our lighting designs complement and complete the project, and never upstage. We are your online location for LED and fiber optic lighting solutions. Lighting designers will analyse your Italy, TX home's layout, structure and needs to create an effective lighting plan throughout your home. This may involve the addition of new light fittings but may also include the movement or addition of power points — recommendations to suit your space and your lifestyle. Though electrical engineers or interior designers in Italy can take on the task of outfitting your home with the appropriate lighting, a professional lighting designer explores lighting as a technique. They can match your style, be it antique lamps to match your eclectic vintage home, or modern wall floor lamps to go with your designer furniture. Lighting designers often have a knowledge of the best lamps and lighting stores, but also physics, optics, ergonomics and environmental issues which influence construction and design, allowing them to devise lighting plans that not only improve visibility but create hierarchies, dynamics and a mood within a space. Lighting designers often work in conjunction with an architect or interior designer, working to incorporate reflective surfaces and integrate daylight. Here are some related professionals and vendors to complement the work of lighting: Interior Designers & Decorators, Design & Construction Firms, Electricians. Think about how you plan to use each area of your Italy, TX home. It's important to communicate to your Texas lighting designer which space will be used as for reading and which for enjoying a movie or entertaining, as these will require very different lighting methods. In addition, consider how you'd prefer to control the lights. Lighting technology today includes dimmers, sensors, photocells (that let lights react to the amount of daylight in a space), programmable scene controls (that let you program different settings for varied lighting) and whole-house lighting controls (that let you control all or a portion of your home's lights from one source), allowing you to tailor your lighting controls however you wish. Find a lighting designer on Houzz. Narrow your search in the Professionals section of the website to Italy, TX lighting designer. You can also look through Italy, TX photos by style to find a lighting design you like, then contact the designer.